Vladimir Putin was in fighting form on Thursday, chastising the West for its "cynicism and hypocrisy" regarding the ongoing crisis in Ukraine. His talk of a new "Iron Curtain" led the World Service bulletins, giving a Cold War flavour to the output. That flavour got even more distasteful, though, when we got to the biggest global sports story: alleged state-sponsored doping of staggering cynicism and hypocrisy. The extent of East Germany's years of state-imposed blanket doping was only revealed when the original Iron Curtain came down in 1989, so you cannot blame Putin for considering some new drapes given the allegations levelled at his country on Wednesday evening. It must be stated at this point that the claims made in German broadcaster ARD's documentary, 'Top-secret doping: How Russia makes its winners', are just allegations, if only to metaphorically line our stomachs for the possibility that the claims are correct. Marathon world record-holder Paula Radcliffe has already tweeted she is sick to hers, adding that this is "every sport's worst nightmare". But which sport? The documentary did not spare many, and while it is Russian athletics that looks to have the most serious hole from which to escape, cycling, swimming, weightlifting and winter sports were mentioned in a grisly list. In the first pile, we have one whistleblower's claim that 99% of all Russian athletes dope. If true we can stop using cycling as our default example for out-of-control cheating, and Lance Armstrong will have to give up his "most sophisticated, professionalised and successful" doping scheme title. This scale of cheating, two other whistleblowers allege, is created by coaches and doctors throughout the Russian system forcing athletes to dope or disappear. And the best drugs are supplied in return for 5% of an athlete's winnings - a wonderful, post-Glasnost twist on the East German method of coercion and Communist glory. 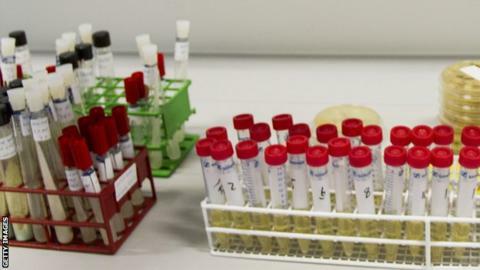 The documentary claimed any positive tests that might occur on Russian soil can be made to disappear, and Russian anti-doping officials will even help you avoid them on your travels with tip-offs, false names and "clean" urine. Again, let us repeat that these are just allegations - can you imagine the implications of them being true? In the specific claims folder we have two depressing case studies: Mariya Savinova, a World and Olympic 800m champion, and Liliya Shobukhova, the world's second fastest female marathon runner. Savinova, who beat South Africa's Caster Semenya into second place at London 2012, appears to be caught on a mobile-phone camera talking about how she uses the banned steroid oxandrolone, while Shobukhova herself tells the documentary-makers a story that would be funny if it was not so appalling. The allegations are the 2010 London Marathon winner and three-time Chicago Marathon champion paid the Russian athletics federation £350,000 for a place in the team for London 2012, despite the fact the federation and Russian Anti-Doping Agency (Rusada) knew she was facing a ban for wild fluctuations in her biological passport, a classic sign of blood doping. Here is the funny bit: when that ban came - two years, but currently subject to an appeal to extend it to four years - it is alleged she was given a partial refund on her hush money. This cash was funnelled to her via a shell company, and ARD says it has documents that appear to show the federation's president, Valentin Balakhnichev, was in on the deal. Balakhnichev's other job, by the way, is treasurer for the International Association of Athletics Federations (IAAF). Might it be because Russia staged the last IAAF World Championships in 2013 (coming top of the medal table) and the last Olympics, the 2014 Winter Games (coming top of the medal table)? Is it because Russia currently tops the rankings for hosting global sports events, and has a football World Cup to look forward to in 2018? Or perhaps the real mood hoover here is that deep down you are just not that surprised? The ranks of the "not shocked" is almost the most shocking thing about this. British athletes Zane Duquemin, Dai Greene, Lynsey Sharp and Andy Turner have all tweeted their lack of amazement at the allegations. That brings us to the most worrying question about all of this: what can we do to stop it happening again? There are already 67 Russian athletes on the IAAF's banned list. Sanctioning them is clearly not working. The World Anti-Doping Agency (Wada) and IAAF have said they are investigating these "grave allegations", and have promised "careful scrutiny" - but do they have the stomach to take down a country that currently hosts more world-class events than any other, tops medal tables and has Putin ready to cry foul? It is also worth noting that one of the IAAF's seven official partners is Russian bank VTB. Nothing wrong with that, of course, but it is hard to imagine VTB hanging around if the Russian team is banned from competition for a period of time. "The World Anti-Doping Agency (Wada) Prohibited List outlines and defines Substances and Methods banned In-Competition, as well as those banned at all times. It is updated at least annually, and is effective from 1 January each year. According to the principle of strict liability, as an athlete, you are solely responsible for whatever is in your body at all times." If Lord Coe is having second thoughts right now about taking over as IAAF president next year, it would be entirely understandable. The Russian authorities have already dismissed the allegations as a "pack of lies", which may turn out to be true. But their second complaint that the whistleblowers should have come to them first, instead of German journalists, does not give much hope of a rigorous internal investigation. The fact that the two main whistleblowers are reported to be in hiding in Spain speaks volumes. As UK Anti-Doping chief Andy Parkinson pointed out, the first thing he would do if it were his organisation in the crosshairs is bring in Wada for an urgent "independent assessment". There seems little hope of that. So what we are left with is the horrible prospect of a stalemate. Russia holding the line, while the international authorities round up the usual suspects. Can a sport that has already suffered the wounding blows of Ben Johnson's dirtiest race, the Balco scandal, Costas Kenteris and Katerina Thanou, Justin Gatlin, Tyson Gay, Asafa Powell and so many more, keep staggering onwards? The real danger is that anything short of a fearless and forensic investigation - followed by punitive sanctions if the worst is revealed to be true - will leave sports fans with the view that there really is nothing worth seeing here. And for a sport as tarnished as athletics has been over the past few decades, it becomes quite hard to see any way back.